Thanks to a number of factors, the new stars in the universe of celebrity can be found in the culinary arts. Documentary films, hit TV shows and live events now regularly feature chefs and restaurateurs who are themselves household names, and even novice food lovers now try to craft dishes that would live up to inclusion on the menus of five-star establishments. Even kids are getting into the act, with a whole new generation of artistic, budding chefs proving a career in the culinary arts is now a preferred destination. But not everyone can be the next Gordon Ramsay. Don’t let that discourage you, however. There are some incredible jobs in this field that will leave you mentally challenged, emotionally fulfilled and financially supported even if the fame never comes. Here are five different careers in the culinary arts you might want to explore. First on the list is a career as a sommelier. Perhaps you’ve never seen this word before, but if you love wine and the restaurant experience, it’s a word you should certainly get to know. The sommelier works at high end restaurants, creating the wine list and interacting with customers and the staff to make suggestions and pair wines with particular dishes. The sommelier is often second only to the executive chef at a restaurant, and enjoys high visibility in the front of the house. You can also find yourself traveling the world if you land the right position, touring vineyards and bringing a wide variety of cultures back to your home restaurant. Although you won’t be working a knife in the kitchen the general manager of a restaurant is one of the most critical posts in the culinary arts world. A busy restaurant is a bear of a business, with dozens or even hundreds of employees, complicated stocking and financial record-keeping and no shortage of daily challenges to confront. As the general manager of a quality restaurant, you’ll be the one to make sure the front of the house runs smoothly. You may never step foot in front of the stove, but your efforts will be what puts the chef’s cuisine in a successful situation. Of course, the primary reason most people get into a career in the culinary arts is to fulfil their dream of becoming a head chef. These are the most prestigious positions in the industry, and if you can land that post in an acclaimed restaurant, you might very well find yourself on the road to stardom. With that level of reward comes a lot of work. Expect to put in sixty-plus hour weeks at every stop along the way, even if it means starting as a dishwasher. You’ll need patience, perseverance and a tireless work ethic. But if you can marry those three with a real skill in the kitchen, you might end up in this incredible situation one day. Another hands-on position you might want to consider is that of the pastry chef. This is a specialized role, but one that is absolutely crucial in many high end restaurants. If your employers want to be known for excellent desserts, they are going to need an excellent pastry chef. You’ll have to go through a specialized program, as most culinary schools only touch briefly on desserts. 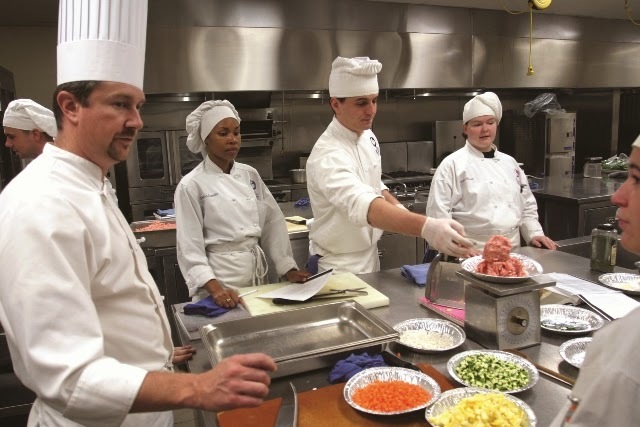 Consider looking for an apprenticeship after you graduate from your culinary arts program, to gain the specialized training necessary to succeed in this area. Finally, consider looking for employment as a private chef. This may not carry the accolades of the executive chef position at a restaurant, but it’s often even better financially, with just a small percentage of the stress and the hours. You’ll be employed by an individual or a family, you can find becoming chef in India is good or not on http://surejob.in/chef-career-india.html. A solid resume will be crucial, but you’ll get the chance to cook in a quiet kitchen, with private events the largest thing you’ll ever have to handle.